Hi everyone! Many times in this forum we have talked about gaia without having a proper thread for this. Now we can talk about one of the most important missions of history, Gaia mission (of the European Space Agency). The results are going to make a huge impact in astrophysics and therefore in the future ideas coming to Space Engine. First of all I'm going to copy and paste a post that Vladimir Romanyuk (Space Engineer) wrote four years ago in the old forum (I think is a very good synthesis of what is coming from GAIA). Gaia-606, one of the first asteroids discovered by the mission in his first few months of operations. Last edited by FastFourierTransform on 10 Aug 2017 12:38, edited 4 times in total. "Gaia provides the detailed 3D distributions and space motions of all these stars, complete to 20th magnitude. 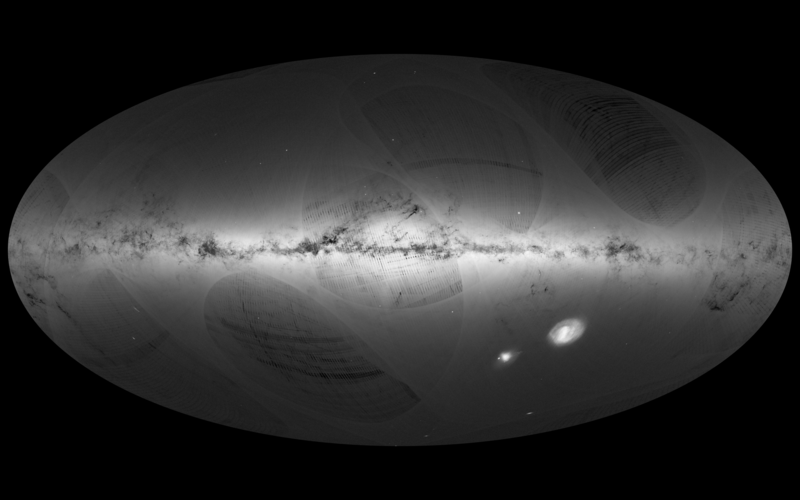 This allows our Galaxy to be mapped, for the first time, in three dimensions. Some 10 million stars will be measured with a distance accuracy of better than 1 percent; some 100 million to better than 10 percent." The last mission that did something like GAIA was the Hipparcos mission (also from the European Space Agency). Hipparcos is the source of the Tycho-2 catalogue, that contains 2,539,913 stars with their parallaxes (thus distances), coordinates and proper motions, complete up to 99% for all the stars brighter than magnitude 11 (as seen from Earth). We are currently here. 14 months after operations began Gaia made hisfirst realease with data from all the sources it could detect but without proper motions and parallaxes (since those have to be gathered comparing their position during several years so at least it can make a meaningful solid measure for each star). With DR1 we now know that the final catalogue is going to have 1,142,679,769 stars (more than expected). That is the 0,5% of the entire stellar population of the galaxy (suspected). Since we are all so eager to know the final results, the European Space Agency integrated this DR1 release with data from the previous Tycho-2 catalogue. Comparing the positions of stars between both catalgues and making a bunch of calculations we have been able to create the so called Tycho-Gaia Astrometric Solution (TGAS), a stellar catalogue with all the sources from Tycho-2 but with updated and more precise distances and motions. In this moment TGAS is the most important reference in astronometry, we have 2,057,050 stars with their motions and 3D coordinates. TGAS is just to give a small taste about what is coming (all the parameters measured for more than a billion stars). 9 months from now we are going to have a catalogue with 3D coordinates and proper motions for more than a billion stars! G and integrated GBP and GRP photometric fluxes and magnitudes for all sources. Median radial velocities for sources brighter than GRVS=12 mag. For stars brighter than G=17 mag estimates of the effective temperature and, where possible, line-of-sight extinction will be provided, based on the above photometric data. Photometric data for a sample of variable stars. Object classification and astrophysical parameters, together with BP/RP spectra and/or RVS spectra they are based on, will be released for spectroscopically and (spectro-)photometrically well-behaved objects. Mean radial velocities will be released for those stars not showing variability and with available atmospheric-parameter estimates. This means more precise 3D motion measurements. Variable-star classifications will be released together with the epoch photometry used for the stars. Solar-system results will be released with preliminary orbital solutions and individual epoch observations. Non-single star catalogues will be released. Yeah, a catalogue of double and multiple stellar systems. 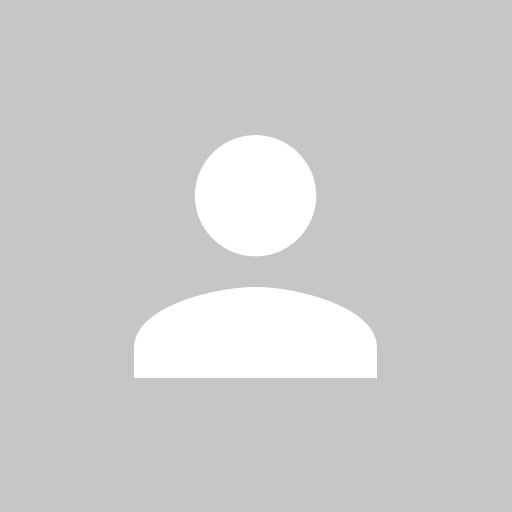 Full astrometric, photometric, and radial-velocity catalogues. With this we can map a part of the galaxy with high precission and know the past and future evolution for tens of millions of years. An exo-planet list. As Space Engineer said, it is expected to have 10,000-20,000 exo-planets (5 times more exo-planets than what are currently known). Even if 1 billion stars acounts for the 0,5% of all the stars in the galaxy the stars in the GAIA catalogue are going to be from a huge chunk of the galaxy (this means that we are not going to know all the stars inside that chunk but many). The extension of the stars in the final catalogue will reach around the 12% of the volume of the galaxy (so we are going to map entire galactic arms, regions near the core, and structures in the outskirts of the disc). This map shows the extension of the data on the galaxy from the final release as seen from above. The colors indicate the density of stars that are in the catalogue (as you can see we are going to map nearly every star in the vicinity of the sun). Just by chance there is a hole in the interstellar medium (dust, gas and particles) in the direction to the galactic center so we are going to be capable of seeing through that hole many stars (that's why there is a colored region near the galactic core). This is a edge-on view of the same simulation performed by the MareNostrum supercomputer. As you can see we are going to map the entire thickness of the disk in our region of the galaxy. Wow thanks for all the beautiful images and info! So Release 2 in April 2018 is the one to look for here. I wonder how much computational power will be required to run the whole set at once But seriously, when this gets incorporated into SE I will do what I do with SNPP, constrain mag to 10 and brighter, and then tighten up the FOV and keep increasing the lim mag. When I get to a field of view of about 0.5 degrees hopefully I'll be able to increase lim mag to Mag 20. This will be a real boon to us astrophographers who stack a lot of images and come up with stars on the edge of visibility but can't find them in online planetariums. The discussion begun 4 years ago in the old forum. These are quotes from Vladimir Romanyuk (Space Engineer), the developer of Space Engine. Spectral class - currently packed to 1 short (2 bytes), but probably must be extended to 1 int (4 bytes). But don't forget about name or catalog ID. Currently SE uses a csv format where everything is a text, but older versions used a separate file with names, like Celestia. Adding an 32-bit index for the database ID (which is enough to identify 4 billions stars) adds 4 bytes. Also, future versions of SE will use proper motion data, so stars in SE will have velocities (and maybe it will be possible to observe change in constellation shape, who knows). So add another 3 floats (12 bytes). So total we'll have 34 bytes per star. Probably some floats may be packed to 16-bit half-precision (2 bytes), so maybe this can be reduced to 32 bytes (computers likes power-of-two)." "to handle 1 billion stars (when final data set will be released in 2022), some adaptive loading/rendering algorithm is needed, similar to those used for planet textures. Space must be subdivided in cubes which are streamed from the disk as needed. However, maybe in 2022 one can simply load everything into memory, like SE handles HIPPARCOS catalog now"
"SE can't load more than 4 Gb because it is a 32-bit app. Even if it would be a 64-bit app, I think only few people would have computers capable to load 23 Gb into RAM. Current 0.972 implementation even can't load a single catalog, because of limitation in the std::vector class (it is used in new accelerated script loader). So this great addon should wait implementing of the binary tiled catalog." "In future I will implement a binary file format for such huge catalogs, with loading of the tiles on-the-fly, like planetary textures (or generation of procedural galaxies). But for now the text catalog should be compressed as more as possible." "Pak files are zip archives, compression for text files is usually very good, so this catalogs will have a huge benefit from that"
Wow, so this is the internet connectivity ability that you mentioned would be coming to SE in the future? Please keep the 32bit version intact, I use 32bit OS for compatibility reasons. Question, if the HD Planetary Packs can be used by 32bit systems (and they are way over 4 GB) how would this be a problem for the Gaia catalog? Source of the post Question, if the HD Planetary Packs can be used by 32bit systems (and they are way over 4 GB) how would this be a problem for the Gaia catalog? Thanks Jack, I only have the HD ones installed, do you find the Ultra ones give a significant improvement over it? As an example, I entered the lat/long of Mt Everest because I wanted to see a mountain range in my landscape but all I saw was some hills Does the Ultra pak show the Himalayas? Also, does the new patch properly show sunrise/sunset of different locations around the world? I inputted the lat/long of Vostok Station, Antarctica prepatch and it looked like 24 hrs of night even though the sun is supposed to rise there at 7:51 am and set at 1:58 pm. A new research paper has been published wich states that the star Gliese 710 is going to encounter the Sun at just 13.365 astronomical units of distance (0,21 light years from us) just 1.35 million years from now. This means the star is going to punch through the Oort cloud generating a cometary shower that would arrive 600.000 years after the star closest approach to the inner Solar System. When this time arrives, there are going to be 10 visible comets each year and the impact risk on Earth of one of those is going to increase significantly (this in almost 2 million years from now so don't worry). 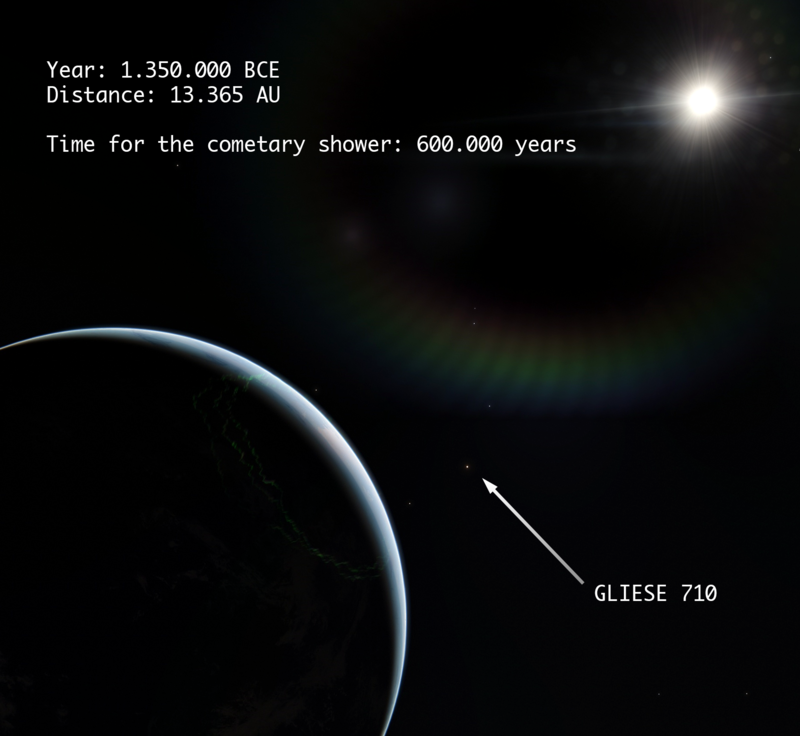 At closest approach Gliese 710 would have an apparent magnitude of -2.7 so it would be brighter than Sirius right now, becoming the brightest star in the sky. A red tint for the nights of the apocaliptic announcement. Also ESA has announced a research paper where they calculated more than 16 stellar encounters of this kind for the future (the closest been Gliese 710). From this, the estimated rate is that a star get's closer than 6 light years from Earth every 86 million years. Since this is quite a beautifull sight I retrieved the coordinates for the closest aproach and created a Mod for Space Engine so you can see what the scene would look like. The atached file has to be deposited in the SpaceEngine\addons\catalogs\stars folder (create this route inside your SpaceEngine folder if you don'r have the subfolders). I took two screenshots using the Mod (and increased saturation in photoshop after that), one with normal FOV and one with a bit of zoom so you can see the orbits of the hypothetical planets Space Engine gas generated around Gliese 710.
hmmm I wonder if this star has any planets and what will happen to them? I could see some sort of mass extinction event occurring here since those seem to be periodic anyway- hopefully we are a space-faring civilization long before then! The scientific paper I linked before is full of details about the event. The star is moving quite slow and that are very bad news since its gravitational influece would last longer and is going to increase our issues with comets. The gravitational influence to the planets is totally negligible but the Oort cloud is going to loose probably the 0,1% of its mass during the event (many comets ejected outwards into interstellar space but some of those are going to fall).It has been estimated that the Oort cloud has around a trillion comets, so Gliese 710 would strip around a billion comets. Of those comets just the 10% would be moved to observable orbits (this means orbits in the inner solar system where they could be spotted in the sky), or around 100.000.000 comets. Consider the fact that this doesn't mean there are 100.000.000 potential risks, there are more, since each comet would make many passes in this new orbits, until they break and vaporize. This would not happen at the time of the close encounter with Gliese 710 but 600.000 years after that (since the comets have to travel the extreme distance from the Oort cloud to the inner solar system). When the first comets start to appear the star would have long disapeared from the night sky. An estimated rate of 10 visible comets each year has been calculated for this period of history. A very small fraction of these comets would cross Earth's orbit (since their orbital inclination would have an enormous range of values). An crossing Earth's orbit does not necesarilly means a hit so in the end maybe we don't have huge problems but I think the most probable is to have a mass extinction event at that time. Source of the post FFT any idea when we will have accurate star and galaxy proper motions in place? As I said in the thread we now have more or less accurate propper motions for around 2 million stars thanks to the combined output of Hipparcos and Gaia missions in a catalogue called TGAS. Next April this measurements would be available for more than a billion stars. But the comming years Gaia will just refine these measurements until they are very very precise. After the April release, stellar encounter predictions and past events will pop-up from a simple survey of the data. Wait until then because all we know about the galaxy and the stellar enviroment evolution is going to change drastically after this date. Galactic propper motions are nearly impossible. The only galaxies I know of we have some propper motion measurements are the Magellanic Clouds and maybe (just maybe) Andromeda. In fact just Gaia has the capability to measure the propper motion of some stars of other galaxies. With the current released data you can see the rotation of the magellanic clouds indeed. But is a difficoult topic. And we are talking about the Milky Way satellites or the closest galaxy at max. I think that maybe I don't understand the question. We both talked about this. The thread explains it in fact. No, SE can't do this and probably wouldn't for a long long time (several years if it is even possible to do this in a software like this). Also if the program had the capabilities to run billions of stars motions remember that proper motions are measurements that pertain to a very short time period (a million years at max). The stars don't move in straight lines obviously, they have trayectories that change this motion across the galaxy (in direction and intensity). And knowing exactly the trayectory of a star farther in the past or in the future is extremely tricky even with good measurements since we know very little about the galactic gravitational potential. Stars don't follow keplerian orbits around the galactic center and their movement is extremely dependant on the size and distribution of regular and dark matter in diferent regions of the disc and the surroundings of the Milky Way. Thanks FFT. It sounds like with Gaia we will model proper motion of stars, but the maximum it would apply for is a million years (which is plenty of time to see what the skies will look like for many generations, past and future.) I take it this won't be incorporated into SE for at least a few years? So the motion of the galaxies that comprise the local group isn't properly modeled yet- and won't be even with Gaia? The mass extinction periodicity is interesting, we were having them about every 60 million years (based on the sun's orbit around the galactic center). I guess this star coming close will speed up the time table quite a bit. Hopefully our ancestors will be spread throughout space by then, and no longer Earth-centric. That is a lot of time we have for technology to evolve, more than the amount of time our subspecies has even been around. And just think of how much we have done in even the last 30 years! Also, remember that SE don't render stars directly - it uses the data structure called octree to speedup the rendering. Octree is used to clip out stars which are not visible from the current camera position, it also means what engine can generate/load only stars which are visible. Without the octree, generating and rendering of the entire galaxy would not be possible. But octree is designed for a static objects, if they are moving and crossing the octree cells borders, you have a problem. Rebuilding the octree in a runtime is impossible - it would be faster to just render all of the billions of stars directly. The simplest way to bypass this problem is expand the cell boundaries while stars are moving out - trying to hold them inside the cell. This will reduce the octree efficiency more and more as cells are inflating (culling became less effective, more cells must be generated/loaded). So stars movement must be limited. The fastest stars (200 km/s) will fly 200 parsecs within 1 million years. The smallest octree cells in SE are few parsecs across (depends on a size of a galaxy), so they will be inflated ~100 times. So even 1 million years is too large value, 10,000 years seems more real. How funny is it were unlocking the secrets of the universe yet millions of people still starve on the same planet, even within just a few hours flight from where these sorts of things are being revealed?